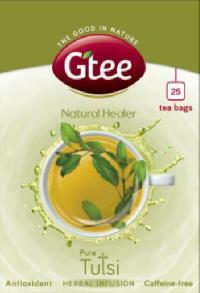 We are the well-known Processor, Exporter and Supplier of Tulsi (Ocimum Sanctum) leaves and in Tea cut size. 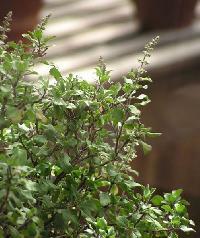 Tulsi plant, is a shrub reaching a height of 0.5 to 1.5 m. The leaves are 2-4 cms in length. It contains an essential oil which has been studied with gas chromatography. A tea prepared with the leaves of Tulsi is commonly used in cough, cold, mild indigestion, diminished appetite and malaise. It is commonly used with black pepper in bronchial asthma. 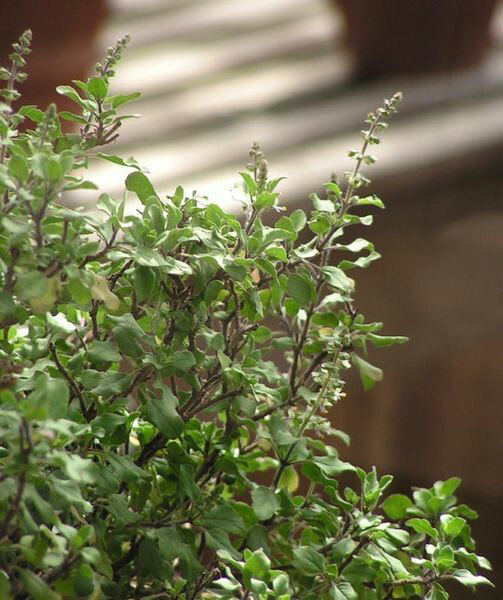 An oil extracted from Tulsi is used as drops in ear infections. Fungal and bacterial infections of skin are treated with Tulsi juice. We are the sole processor of tulsi leaves and green tea leaves into tea cut form for a well known green tea company, "Gtee botanical extracts pvt ltd, chennai", to fill in green tea bags and green tea cut leaves which is mix with other ingredients in their other herbal tea bags such as green tea with mint / lemon & ginger / ginseng / chamomile / jasmine and also other pure herbs like tulsi leaves (ocimum sanctum), moringa oleifera leaves and dia-g-tee tea bags. We process Tulsi leaves which is a more Hygienic method under one roof, fresh Tulsi leaves plants are directly collected from farmers,and is dried under shade in one roof and is processed manually to make into final tea which is cut with much care to keep the aroma and its medicinal properties when ready to drink as Herbal Infusion tea.